StarVenture is a prototype interactive educational app that helps users learn about the night sky. Unlike other astronomy-based apps, StarVenture isn’t just an interactive sky-map. It includes a series of lessons, quizzes, games, and other interactive activities that teach users about the principles and foundations of astronomy as a study, using their imaginations as guides. The interface has been crafted to look more handmade than futuristic, reinforcing the idea that user input and inspiration is just as important as the actual material. 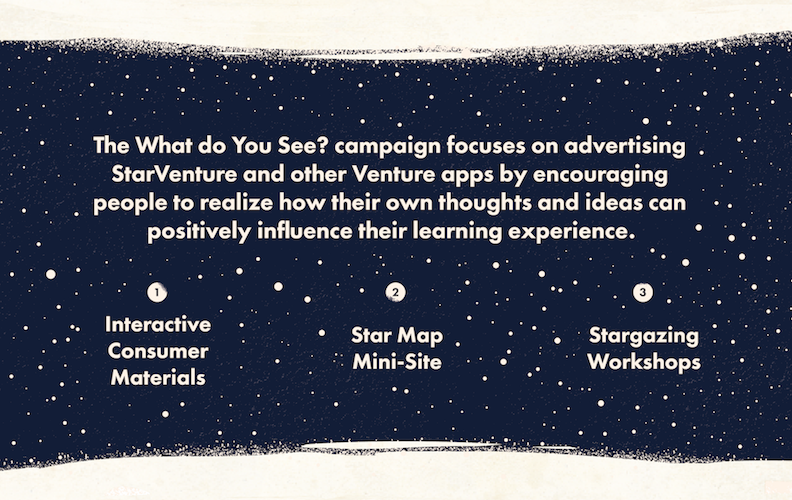 To advertise the app to the public, the brand campaign "What do you see?" was launched. 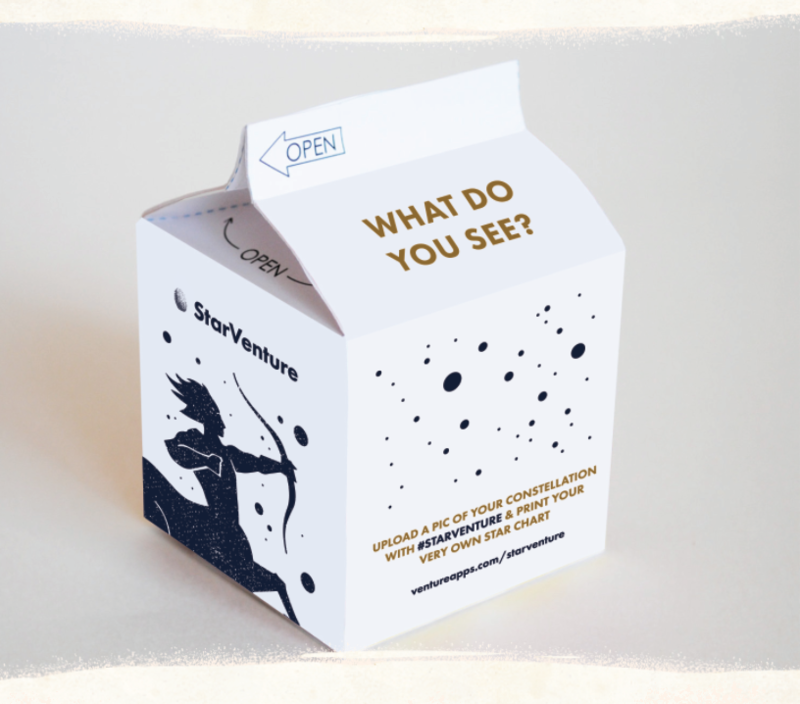 The campaign consisted of a range of printed materials (from milk cartons to placemats!) that featured blank star maps that users could draw on. By taking pictures of their own constellations, users could upload them to a mini-site and share their ideas and stories with other users around the world. As a way to bring these people together in the physical environment, the campaign also included a series of community-based star watching workshops for both amateurs and professionals alike.